Midnight Sun Drills 15 Metres Grading 0.73% Copper at Solwezi Properties – Midnight Sun Mining Corp.
? 6.27% copper over 4.5 meters. All drilling in this program was carried out by Blu Rock Drilling and assaying was performed by Genalysis Laboratory Services, an internationally accredited lab. 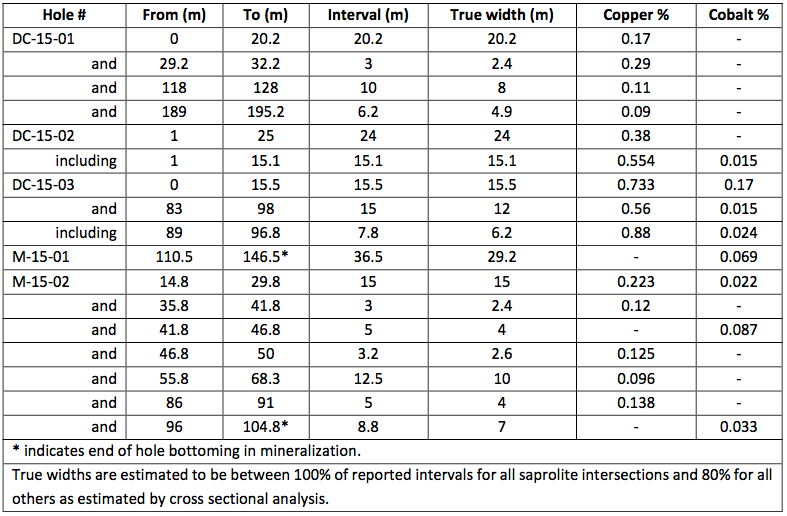 Minor silver values were associated with higher grade copper samples. Qualified Control/Quality Assurance: Samples obtained during core drilling were transported directly to Genalysis Laboratories in Chingola, Zambia by Midnight Sun personnel for sample preparation. Samples were sorted, dried, crushed, and pulped before being sent to Perth, Australia for final chemical analysis using ICP-MS methods. All samples returning >20,000 ppm Cu were automatically re-checked by Genalysis. Genalysis is a fully accredited Laboratory and sample duplicates, standards and blanks were inserted by Genalysis and verified by the qualified person. ON BEHALF OF MIDNIGHT SUN MINING CORP. This news release includes certain statements that may be deemed “forward-looking statements.” All statements in this release, other than statements of historical facts, are forward-looking statements. Although the Company believes the expectations expressed in such forward-looking statements are based on reasonable assumptions, such statements are not guarantees of future performance and actual results or developments may differ materially from those in the forward-looking statements. Factors that could cause actual results to differ materially from those in forward-looking statements include, changes in market conditions, unsuccessful exploration results, changes in commodity prices, unanticipated changes in key management personnel and general economic conditions. Mining exploration and development is an inherently risky business. Accordingly, the actual events may differ materially from those projected in the forward-looking statements. This list is not exhaustive of the factors that may affect any of the Company’s forward-looking statements. These and other factors should be considered carefully and readers should not place undue reliance on the Company’s forward-looking statements. The Company does not undertake to update any forward-looking statement that may be made from time to time by the Company or on its behalf, except in accordance with applicable securities laws.